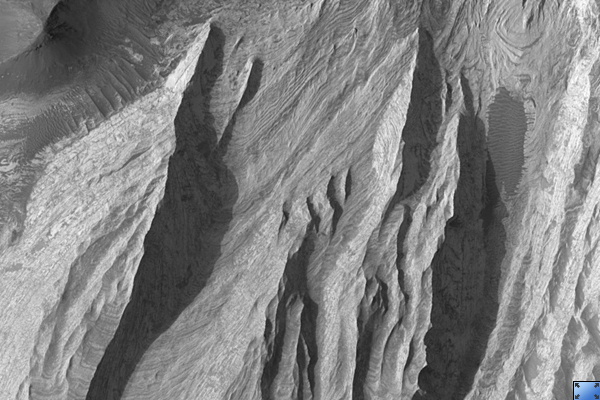 This HiRISE image ( PSP_002590_1765 ) shows a portion of the light-toned layered deposits in Juventae Chasma. Juventae Chasma is a large trough just north of the main part of Valles Marineris, and may have been the source region for giant floods long ago. 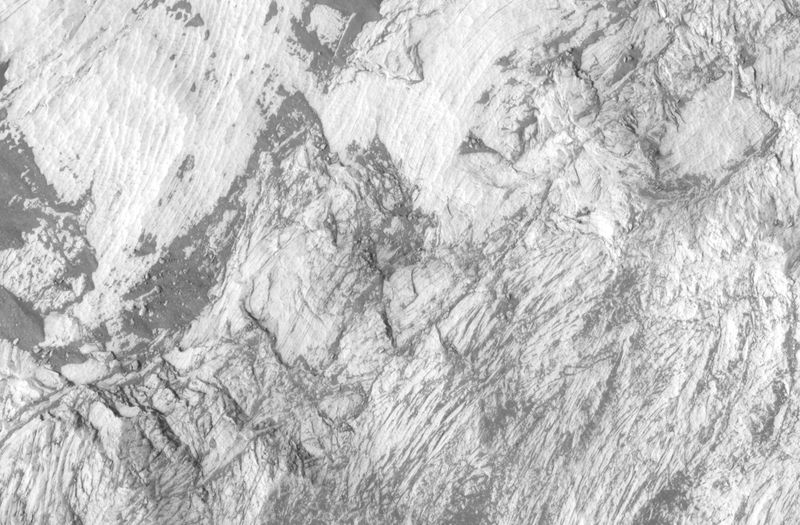 There are currently several large hills of layered rock on the chasma floor, likely remnants of a deposit which was once more extensive. Among the possible origins of the layered deposits are lake sediments, volcanic material of various origins (possibly erupted under ice), or deposits of aeolian sand and dust. The subimage shows some extremely thin beds within one of the mounds (center). These are probably sheets of material lying nearly flat, and are some of the finest-scale layers observed on Mars. It is possible that in places layer boundaries are accentuated by variable amounts of dark wind-blown dust, which buries the layers in some parts of the image; nevertheless, some of the layering must be extremely thin. The layers are actually even more thin than they appear, since the slope of the mound makes them appear wider. The occurrence of many thin layers indicates many events or variations in deposition while this material was forming.